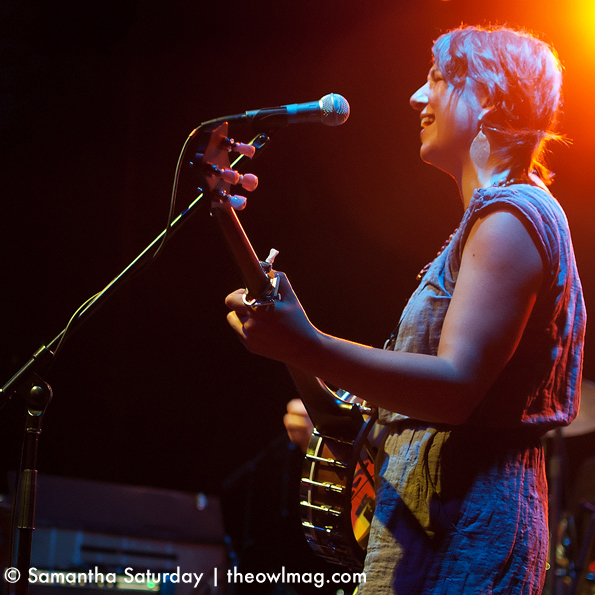 Los Angeles finally began seeing some grey autumn weather last Friday, making it the perfect setting for Portland, Oregon’s Blind Pilot and Point Juncture, WA to grace the stage at the El Rey. The four-piece Point Juncture, WA opened up the show with a set mainly consisting of tracks off their newest release Handsome Orders. Singer and drummer Amanda Spring held down her post at the kit with great fluidity and charm, grinning as she sang. While the band seemed to be enjoying themselves, the crowd was not quite ready to mellow out and just enjoy the show. 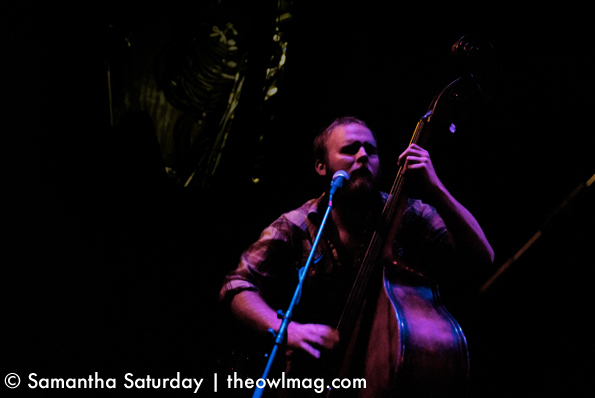 In quieter parts of the songs you could hear incessant chatter emanating from the audience. Still, the quartet worked their breezy Pacific Northwest charm to chill out the crowd. 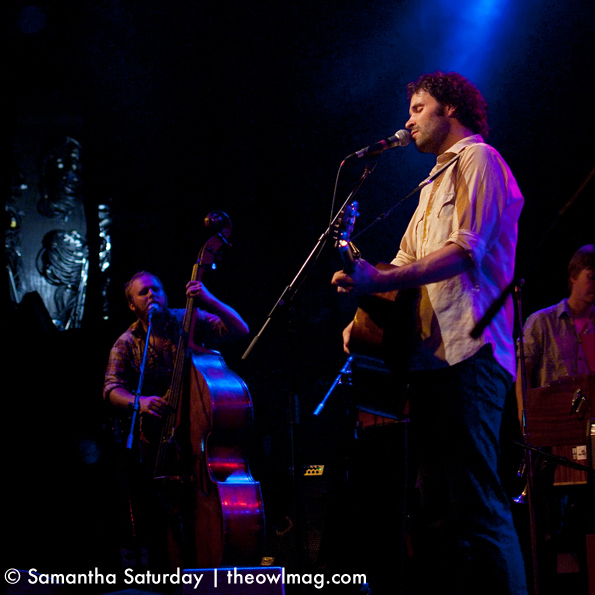 Blind Pilot’s performance at the El Rey marked the beginning of the home stretch for their tour in support of We Are The Tide. There’s something about the band’s presence that is calming – maybe it’s the overabundance of plaid and beard-age on stage. The sextet dove straight into their set with “Keep You Right,” as Israel Nebeker crooned sweetly and Kati Claborn plucked along on her banjo. 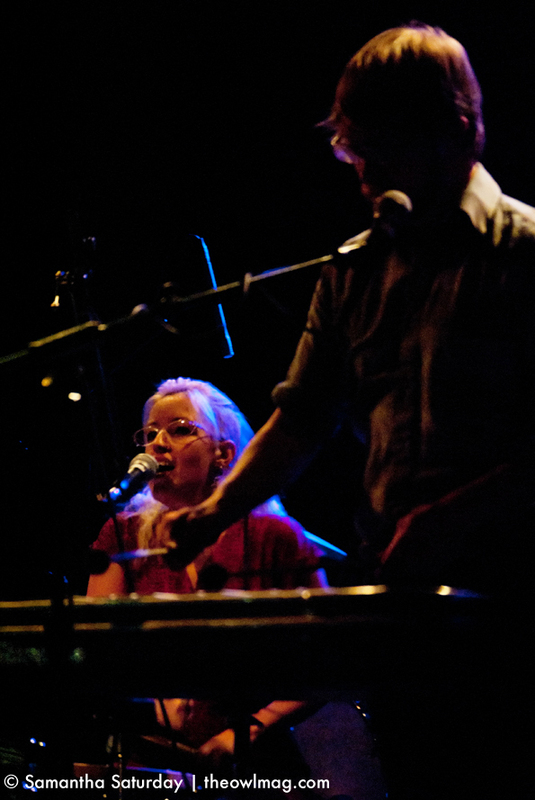 As with most indie-folk acts, the band drew a mixed crowd, both young and old. 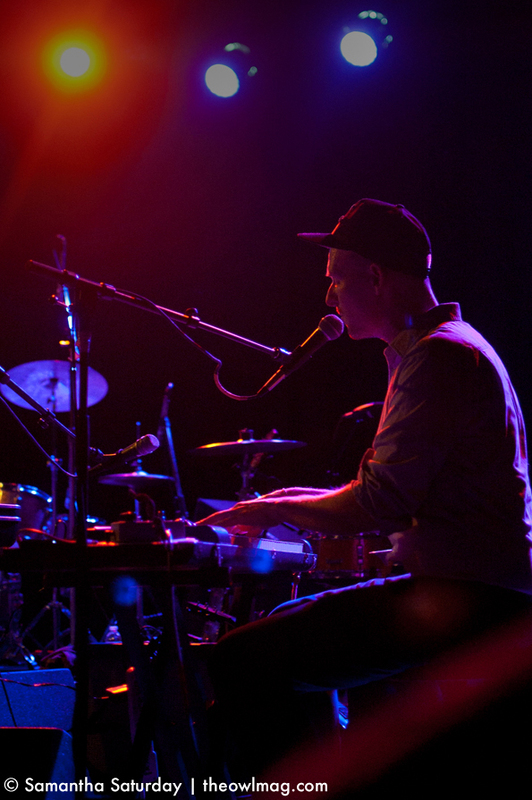 Despite the often misleading “folk” label, the Portland band’s performance was not a snooze-fest. With a multitude of instruments (dulcimer, trumpet, harmonium, and vibraphone, to name a few) the group sent shivers down spines. For the second tune of their encore, the group played a rather impressive and moving rendition of The Band’s “The Night They Drove Old Dixie Down.” Nebeker prefaced the song by saying they had been playing the tune on the bus throughout the southern states on tour. To close out the night, in true Blind Pilot style, Nebeker sheepishly asked the crowd if it would be alright if the group unplugged their instruments and joined them on the floor for a very special take on “3 Rounds And A Sound.” Of course, the crowd was more than inviting, making room for the band right in front of the stage and sitting down to let those in the back gain a better view. Nebeker and Co. quietly strummed out the tune while audience members sang along, providing a chorus of ghostly voices.